If you are planning to fly, Jaipur is the closest International airport (120 kms). From Jaipur, one can take a train, bus or taxi to Ajmer. From Ajmer to Pushkar is another 12km which can take a driver upto 45 minutes due to the hilly terrain. If you plan to travel by train, the nearest railway station is Ajmer. There are direct trains from Delhi, Agra, Ahmedabad, Jaipur, Jodhpur and Udaipur. Two convenient train services which connect Ajmer to Delhi and Jaipur respectively are the Shatabdi Express and Pink City Express. To arrive by road, there are two bus stands: Marwar Bus Stand (near the Post Office) and Ajmer Bus Stand. Buses ply regularly to and from Bikaner, Jaisalmer and other cities of Rajasthan. 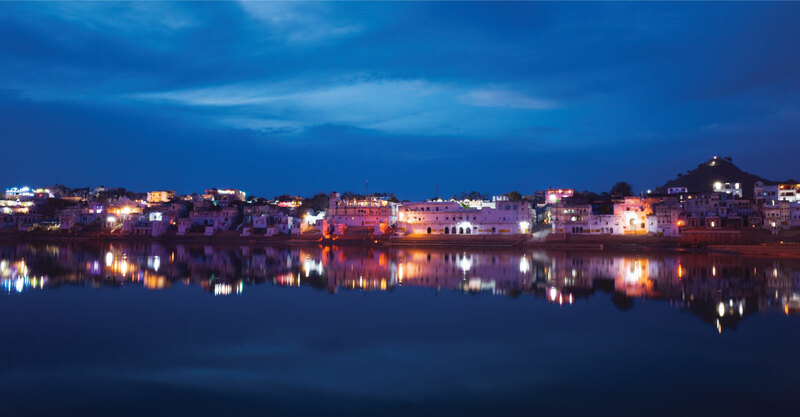 Pushkar Resorts is located in Ganehra Village, which is in the outskirts of Pushkar city. Conveyance facilities are available for guests upon request.